Here at Phelps & Williams we a lot more than just fit tyres! We specialise in car tyres, batteries and exhaust fitting and repair. We also cover all of your car servicing and diagnostic needs. Whether you are broken down and need recovering or just a quick winter inspection, we can help! We have over 20 years experience and are all fully qualified mechanics. Phelps & Williams stock all makes and models of tyres. If your tyre is not in stock, it can be acquired very quickly. Tyres technology has evolved hugely in recent years increasing durability, reliability and safety. Tyres are now made with multi-layer technology. 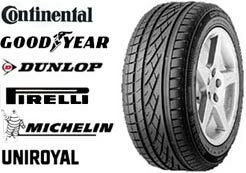 One problem some people face when trying to buy new tyres is that the sheer number of high quality tyres available from all the different tyre manufacturers can be quite overwhelming. Luckily we know what we're talking about when it comes to tyre advice. Our team of technicians are always more than willing to have a chat with customers who are finding it difficult to make a decision on which tyre to buy. So, if you ever need to talk to a person about a set of tyres, our experts are available over the phone on 01792 701961. 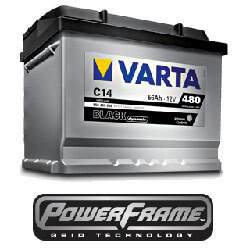 A quick check can give your car battery a health check. You don’t want to be left stranded due to a fatigued battery. Phelps and Williams are more than happy to give your battery a FREE check-up. All Phelps & Williams exhausts come with a guarantee for your peace of mind. 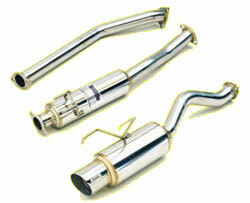 The exhaust provides the only means of clear the fumes produced by your vehicles engine. If an exhaust is not functioning properly, it can lead to fumes leaking into your vehicles cabin and a loss in fuel consumption. Therefore it could be harmful to your health and be costing you more money to run your car. Exhaust system components are designed for a specific engine. The pipe diameter, component length, catalytic converter size, muffler size, and exhaust manifold design are engineered to provide proper exhaust flow, silencing, and emission levels on a particular engine. Phelps & Williams now offer full car servicing and interval car servicing. Swansea car owners now have the option of having their car serviced without having to pay some of the high prices charged by some main dealers. Investing in the latest equipment and products enables us to provide a fantastic service at prices much lower than some competitors. As we expand our range of services to support local car owners in Swansea we continue to pride ourselves on the quality of our service at truly competitive prices. With yet another valuable service such as car servicing Swansea car owners will be able to contact Phelps & Williams for all the motoring needs as our services now includes, tyres, exhausts, brakes, batteries, suspension, car servicing and diagnostics. Phelps & Williams have invested in car diagnostics. 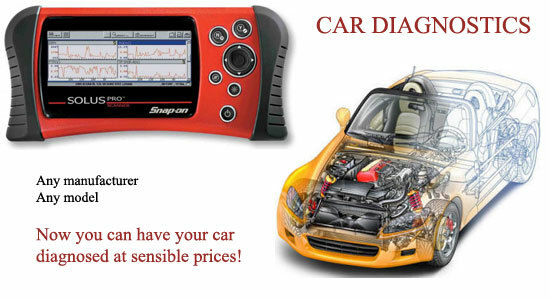 Swansea car owners now have the option of receiving a quality diagnostic of their car without having to pay some of the high prices charged by some main dealers. Investing in the latest equipment and software enables us to provide a fantastic service at prices much lower than some competitors. As we expand our range of services to support local car owners in Swansea we continue to pride ourselves on the quality of our service at truly competitive prices. With yet another valuable service such as car diagnostics Swansea car owners will be able to contact Phelps & Williams for all the motoring needs as our services now includes, tyres, exhausts, brakes, batteries, suspension, servicing and diagnostics. Often overlooked, your vehicle's suspension has a massive impact on the ride quality and handling. 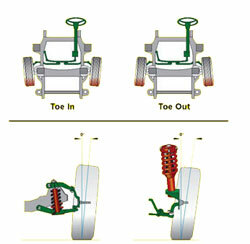 Most suspension systems work on a spring format. 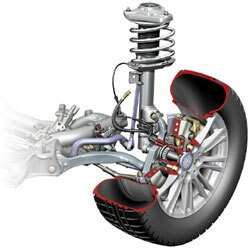 As you drive over bumps in the road, the springs compress and depress to dampen the feeling in the vehicle. As time goes by the springs can fatigue and the handling will suffer and this can often be dangerous. Phelps & Williams offer a free brake check service to ensure your car and more importantly you can brake quickly and safetly at all times. Brakes are often over looked when you think of your cars maintenance because the wear is not visible. It's not just the brake pads that are checked, Phelps & Williams will also check your vehicles shoes, brake discs or drums to help ensure your safety. 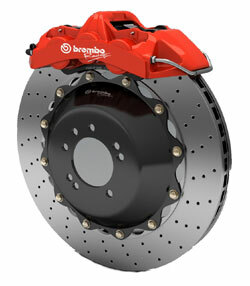 A wide range of brakes are in kept in stock for cars and light commercial vehicles. Just give us a call to arrange a service check. Wheel alignment can be caused by driving against a kerb, hitting a pothole in the road or by excessive wear to steering or suspension components such as bushes. Alignment of wheels and tyres to the specification set by your by your vehicle manufacturer is an important way to guarantee a smooth ride and to get the most life out of your tyres. Simply register your Email Address and at your next visit, just remind us to discount your bill. Easy!